Order within the next... 15 hours, 46 minutes, 11 seconds ...for dispatch tomorrow! Perfectly constructed Rootwood Veneer Chess Piece case that features plush black flocked compartments and a black flocked base. 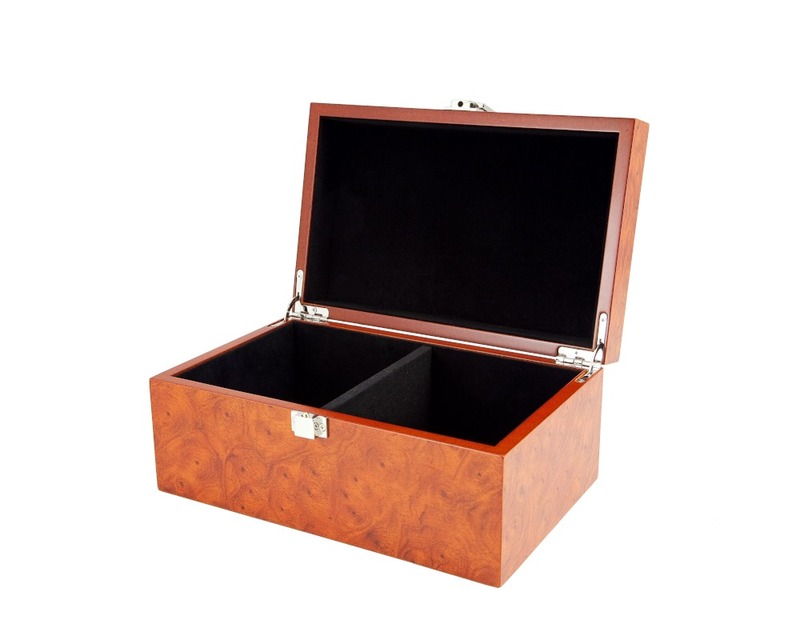 The construction of this case is extremely good, resulting in a cabinet that is hard to fault. The lid is attached via chrome plated quadrant hinges that have been flawlessly countersunk into the wood. 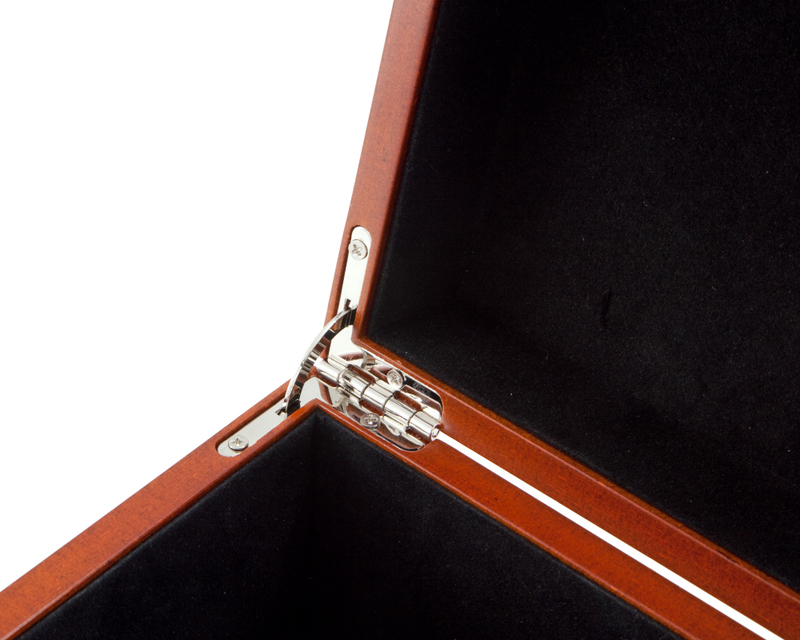 Quadrant hinges not only look good, but they stop the cabinet lid from folding back too far, allowing the lid to safely rest open. 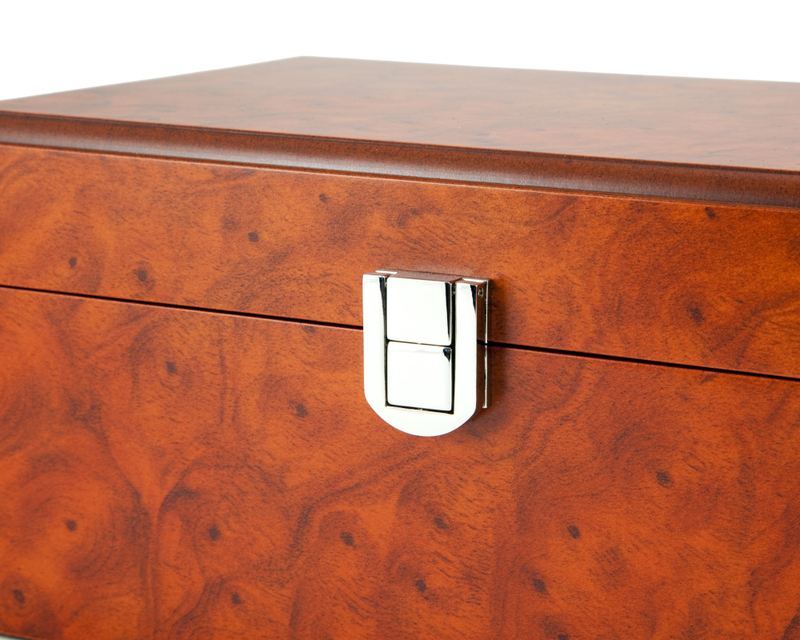 The cabinet also features a contemporary looking chrome plated clasp that keeps the unit securely closed when stowed. 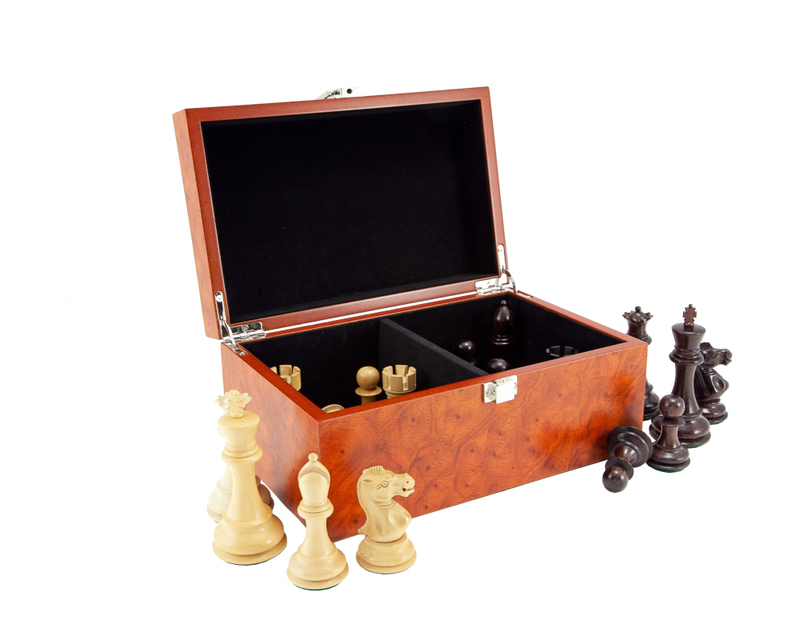 In all a quality storage case for all chess pieces up to 4.5 Inches in height (King). "Yes, I liked this case and it is substantially larger than my other 240 x 155 x 85 mm Philos case which complains when I include two extra queens to the standard sized set. I can't quite get my head around why chess boxes are as expensive as they are given they are not exactly difficult to mass produce." "This is a quality product The only negative is that it only holds one colour of chess pieces so another box is needed to store the whole set"
"Lovely box, perfect for the 3\" pieces I bought." "comprei duas caixas e sao espetaculares,sao muito bonitas e vao guardar muito bem o meu zagreb 59.luis bouxo,portugal"
"I totally agree with the above review! I got this to keep my Staunton chess pieces in. The box has a lovely finish, and the the recessed metalwork for the hinges caps it off! The black felt bottom is a nice touch, preventing the box from scratching any surface that it is kept on. I would recommend this product." "This is an extremely well made case. It is beautifully constructed and makes a very attractive container for the chess set, or indeed would make a lovely jewellery box, with a bit of tweaking!Hmm, now there's an idea! The quality of the workmanship is excellent. My partner will be very impressed when he comes home from work! A fitting container for the beautiful Staunton chess set he had for Christmas!"